YOU ACKNOWLEDGE AND AGREE THAT, BY CREATING A BITLY ACCOUNT, PURCHASING A PAID ACCOUNT, OR ACCESSING OR USING THE BITLY SERVICES, YOU ARE INDICATING THAT YOU HAVE READ, UNDERSTAND AND AGREE TO BE BOUND BY THESE TERMS. IF YOU DO NOT AGREE TO THESE TERMS, THEN YOU HAVE NO RIGHT TO ACCESS OR USE THE BITLY SERVICES. THIS AGREEMENT CONTAINS AN ARBITRATION PROVISION AND CLASS ACTION WAIVER AS DESCRIBED IN THE ARBITRATION SECTION BELOW. YOU AGREE THAT DISPUTES BETWEEN US WILL BE RESOLVED BY BINDING, INDIVIDUAL ARBITRATION, AND YOU ARE WAIVING YOUR RIGHT TO A TRIAL BY JURY OR TO PARTICIPATE AS A PLAINTIFF OR CLASS MEMBER IN ANY PURPORTED CLASS ACTION OR REPRESENTATIVE PROCEEDING. Modifications. Bitly reserves the right, in its sole discretion, to modify or replace this Agreement at any time. If we modify these Terms, we will post the modification on our site or provide you with notice of the modification on your Bitly Account Details page. By continuing to access or use the Bitly Services after the effective date of the modification, you are indicating that you agree to be bound by the modified Agreement. Customer agrees that it is Customer’s responsibility to check this Agreement periodically for changes and that its use of the Bitly Services following the posting of any changes to this Agreement constitutes acceptance of those changes. If the modified Agreement is not acceptable to you, your only recourse is to cease using the Bitly Services. Scope & Current Offerings. As of the Effective Date, Bitly offers certain Bitly Services to Customer. Bitly may add, remove, suspend, discontinue, modify or update the Bitly Services at any time, at its discretion. After the effective date of such update, Bitly shall bear no obligation to run, provide or support legacy versions of the Bitly Services. Bitly Enterprise Customers. If you have purchased a Bitly Enterprise Plan, these terms may be supplemented or modified by a supplemental enterprise agreement and one or more order forms, the terms of which will control to the extent they conflict with these Terms. Support, Uptime & Training. The training and level of customer support for the tier of Bitly Services you purchase is set forth on the Bitly Services pricing page. Fees. Bitly offers fee-based Bitly Services that provide additional features and functionality. Pricing and services for paid accounts are described on Bitly’s Services pricing page and may be updated from time to time. If you sign up for a paid account, you agree to pay Bitly all applicable fees for the tier of Bitly Services according to your selection. Fees are non-refundable except as required by law or as otherwise specifically permitted in this Agreement. Auto-renewals and Trials. If your account is set to auto-renew or is in a trial period and you have already provided a method of payment to Bitly for the Services, Bitly will charge your payment account automatically at the end of the trial or beginning of each renewal term for the renewal term, unless you notify us that you want to cancel or disable auto-renewal before the expiration of the then-current term. You may terminate the Agreement in your account’s Account Details page, or, if you purchased your Service through a Bitly account representative by contacting your Bitly account representative. If you are on a paid account plan lasting twelve (12) months or longer, we will notify you within 30 days before your account renews, including any changes in the Fees for the plan. Payment. Customer will pay Bitly invoices on the payment interval selected. If not otherwise specified, payments will be due immediately. Customer authorizes Bitly to charge Customer for all applicable Fees using Customer’s selected payment method through Bitly’s online payments platform. Customer will provide complete and accurate billing and contact information to Bitly. Bitly may suspend or terminate the Services if Fees are past due. Unpaid Fees are subject to a finance charge of one percent (1.5%) per month (18% per annum), or the maximum permitted by law, whichever is lower, plus all expenses of collection, including reasonable attorneys’ fees. Taxes. Fees are exclusive of taxes, duties, levies, tariffs, and other governmental charges (collectively, “Taxes”), and Customer is responsible for all Taxes resulting from this Agreement or Customer’s use of the Bitly Services. Bitly will invoice Customer for Taxes when required to do so by applicable law, and Customer agrees to provide payment under the terms of the invoice. In the event Customer is required by law to deduct and withhold any Taxes on amounts payable under this Agreement, any amounts required to be withheld will be promptly deducted and timely remitted by the Customer on behalf of Bitly to the appropriate taxation authority and Customer agrees that it will provide Bitly with copies of all necessary documents (including but not limited to tax receipts received from the applicable tax authority) in order for Bitly to claim and receive a foreign tax credit in an amount corresponding to the amount withheld by the Customer. Downgrades. Bitly reserves the right to downgrade, suspend or terminate Customer’s access to any or all Bitly Services if Fees are past due. Access Credentials. Bitly shall provide Customer with non-transferable access credentials for the Bitly Services. Customer shall not (i) misrepresent or mask identities when using the Bitly Services or seeking access credentials; (ii) select or use as a username or Branded Short Domain a name subject to any rights of a person or entity other than Customer without appropriate authorization; (iii) select or use, as Customer’s username or Branded Short Domain, a name that is otherwise offensive, vulgar or obscene; or (iv) exceed any access permitted by Bitly. Customer shall safeguard all access credentials provided by Bitly and shall ensure the confidentiality and security thereof. To the extent Customer is a corporate entity rather than an individual (1) only employees and contractors of Customer (“Personnel”) may use the Bitly Services; (2) Customer shall require its Personnel to comply with all Laws and the use restrictions (including user seat restrictions) set out in the Agreement or otherwise prescribed by Bitly and shall not share access credentials to exceed the user limitations of the service tier Customer has purchased; (3) Customer represents and warrants that its Personnel have the capacity and authority to enter into this Agreement; and (4) Customer acknowledges that it shall be fully responsible for any acts or omissions of its Personnel, whether authorized or unauthorized. 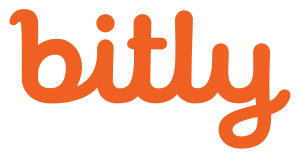 Bitly may update, refresh or change the manner of accessing the Bitly Services in its discretion. Compliance Monitoring. Bitly may monitor Customer’s use of the Bitly Services for compliance with the Agreement. If Bitly observes usage of the Bitly Services that it believes are not in compliance with the Agreement, Bitly will notify the Customer and give the Customer five (5) business days to remedy its non-compliance. If Customer does not remedy its non-compliance within five (5) business days, Bitly reserves the right to suspend or terminate Customer’s use of the Bitly Services. Bitly reserves the right to suspend Customer’s use of the Bitly Services without notice in the event that it believes, in good faith, the security of Customer’s Bitly account has been compromised, or the Customer’s Bitly account is being used for an unlawful purpose. And may suspend or terminate Customer’s access to the Services without notice for violation of the Agreement. Ownership. Except for any Customer Content or Customer Services, Customer acknowledges and agrees that Bitly is the sole and exclusive owner of all right, title and interest in and to the Bitly Services and Bitly Link Metrics and all related documentation, source code, tools, scripts, processes, techniques, methodologies, inventions, know-how, concepts, formatting, arrangements, visual attributes, ideas, database rights, copyrights, patents, trade secrets, and other intellectual property, and all derivatives, enhancements, modifications and improvements thereof (“Bitly Materials”). Nothing in this Agreement or any other document shall be deemed to transfer ownership of the Bitly Materials. Except for the limited license rights expressly granted herein, no rights to Bitly Materials are granted hereunder and all rights in such Bitly Materials are reserved. Feedback. Customer is not required to provide any suggestions, enhancement requests, recommendations or other feedback regarding the Bitly Services or Bitly Link Metrics (“Feedback”). However, if Customer does so, all right, title and interest in and to such Feedback shall be assigned to, and shall become the sole and exclusive property of, Bitly upon its creation. License Restrictions. Customer shall not share access credentials to exceed the user limitations of the service tier Customer has purchased. Customer and its Personnel shall not, and shall not permit any third party to: (i) access the Services or export data from the Services to create a service, software, documentation or data for a URL shortening service other than Bitly or create shortened links or a service that is competitive with, substantially similar or confusingly similar to any aspect of the Bitly Services or Bitly Link Metrics; (ii) use, modify, display, perform, copy, disclose or create derivative works of the Bitly Services except as expressly permitted herein; (iii) reverse engineer, decompile, disassemble, mimic, screen-scrape, frame or mirror the Bitly Services or Bitly Link Metrics, or use any other means to attempt to discover their source code except as expressly permitted herein; (iv) benchmark, encumber, distribute, sublicense, assign, share, sell, rent, lease, pledge or otherwise transfer the Bitly Services or Bitly Link Metrics to any third party; (v) transmit harmful, disabling or malicious code or devices, or infringing, defamatory, unlawful, tortious, deceptive, misleading, fraudulent, abusive, indecent or otherwise offensive content, or content that contains someone’s personal information or violates a third party’s intellectual property, privacy or publicity rights (“Prohibited Content”) through the Bitly Services; (vi) access via automated or unauthorized means, interfere with, disrupt or attempt to monitor, override access or circumvent security measures for, the Bitly Services or Bitly Link Metrics or related systems, including via robots, spiders and other electronic methods; and (vii) obscure, remove or alter any proprietary rights or other notices on the Bitly Services or Bitly Link Metrics. Notwithstanding anything to the contrary herein, Bitly may, in its sole discretion, immediately revoke the grant of rights set forth in Section 3 if Customer breaches or threatens to breach the restrictions in this Section or creates other security or legal concerns. Customer hereby agrees that Bitly will be entitled, in addition to any other remedies available to it at law or in equity, to injunctive relief to prevent the breach or threatened breach of Customer’s obligations under this Section, without any requirement to demonstrate irreparable harm or post a bond. Technical Restrictions. Customer shall not exceed the number and/or frequency of API calls, concurrent URL shortens or other access to or use of Bitly Services in the relevant documentation or as otherwise provided by Bitly in an Order Form. If Bitly believes that Customer has attempted to exceed or circumvent these limitations, Bitly may suspend or block Customer’s access to the Bitly Services. Bitly may monitor Customer’s use of the Bitly Services, including to ensure Customer’s compliance with this Agreement. Open Source Software. Bitly Services may incorporate software that is subject to terms that, as a condition of use, copying, modification or redistribution, require such software and derivative works thereof to be disclosed or distributed in source code form, to be licensed for the purpose of making derivative works, or to be redistributed free of charge (“Open Source Software”). To the extent any Open Source Software license terms are inconsistent with this Agreement, then such rights in the applicable Open Source Software license shall take precedence over the rights granted in this Agreement, but solely with respect to such Open Source Software. Any applicable Open Source Software license is solely between Customer and the applicable licensor of the Open Source Software and Customer shall comply with the applicable Open Source Software license. Third Party Materials. Bitly Services may utilize third party software or source code, including without limitation Open Source Software (“Third Party Materials”). Bitly has no control over Third Party Materials. Accordingly, Bitly is not responsible or liable for any Third Party Materials. While Bitly has no obligation to monitor Third Party Materials, Bitly may remove or modify such Third Party Materials in its discretion, including without limitation to comply with Law. Customer agrees to comply with all terms and conditions and privacy policies related to any Third Party Materials. Trademarks. Bitly grants Customer a limited, revocable, non-exclusive, non-transferable, non-sublicensable license to access and use Bitly’s names, logos, designs, and other trademarks incorporated into the Bitly Services (“Bitly Marks”) during the Term and solely for the purposes of displaying such notice as part of the Bitly Services. Customer recognizes the validity of the Bitly Marks and Bitly’s ownership and title thereto. Any goodwill derived from the use of the Bitly Marks by Customer shall inure to the benefit Bitly. Customer will not challenge the Bitly Marks, or Bitly’s ownership and title thereto, or the USPTO application or registration thereof, either during or subsequent to the term of this Agreement. Customer shall execute such documents as may be reasonably requested by Bitly, or required by law, to establish Bitly’s sole and exclusive ownership and rights in the Bitly Marks, or to obtain registration thereof. Customer agrees to use the Bitly Marks consistent with Bitly’s Brand Assets it makes available at https://bitly.com/pages/press, so as to protect and maintain the Bitly Marks and Bitly’s rights therein. To this end, Bitly shall have the right to revoke the license granted in this Section and/or to review and approve the manner of use of the Bitly Marks, and Customer agrees to modify the use of any Bitly Marks which do not meet Bitly’s standards. Notwithstanding the foregoing, Customer may not use any Bitly Marks in any manner implying any partnership with, sponsorship by, or endorsement by Bitly. Customer Services. Bitly shall have no liability for any Customer product or service accessed through or making use of the Bitly Services or any end user, customer or Personnel’s use thereof (“Customer Service”). Customer shall not use the Bitly Services in any manner implying any partnership with, sponsorship by, or endorsement of the Customer Service by Bitly. Customer shall not suggest or imply that Bitly is the author of or otherwise responsible for the views or content of the Customer Service. The Bitly Services shall not be used in connection with any Prohibited Content, or any activities where the use or failure of the Bitly Services could lead to death, personal injury or property or environmental damage or adversely impact or impose liability on Bitly in any manner. Customer Content Warranties. Customer represents and warrants that Customer Content and all information on which the Bitly Link Metrics are based, and the receipt, collection, use and provision thereof, shall not infringe or violate any third party rights, including without limitation any intellectual property, privacy and publicity rights; (ii) the Customer Content, and any information on which the Bitly Link Metrics are based, was received, collected, used and provided to Bitly in compliance with all applicable laws, rules and regulations and self-regulatory guidelines and requirements, including without limitation laws on privacy and data security, unsolicited messaging, unfair or deceptive practices, or United States trade or export restrictions (“Laws”); (iii) it has obtained all necessary consents, approvals or other authorizations or permissions for, and has complied with its posted privacy policies and all third-party terms and conditions or privacy policies in connection with, its receipt, use and/or provision of the Customer Content and all information on which the Bitly Link Metrics are based; and (v) that none of the Customer Content or information or data on which the Bitly Link Metrics are based contains any personally identifiable information or persistent identifiers from individuals under the age of 13. Further Customer Warranties. Customer further represents and warrants that (i) it has implemented or contractually required industry-standard security measures to help protect the security and integrity of, and prevent, unauthorized access to the Bitly Services or Bitly Link Metrics, Customer Content and Customer Services; (ii) it will not do anything that will make the Bitly Services subject to any open source or similar license which creates an obligation to grant any rights in the Bitly Services; (iii) it will not disrupt, disable, erase, alter, harm, damage, interfere with or otherwise impair in any manner the Bitly Services or Bitly Link Metrics; (iv) in the event of any security breach or unauthorized access to any Bitly Services, Bitly Link Metrics, Customer Content and Customer Services, Customer will immediately investigate such breach and notify Bitly in writing, and, unless otherwise notified by Bitly, take all corrective action necessary to remedy such breach and/or comply with applicable Law and the requirements of Bitly, all at Customer’s cost; and (v) Customer, Customer’s use of the Bitly Services, the Customer Content and Customer Services will comply with all Laws and not violate or infringe upon any third party intellectual property, privacy or publicity rights. BITLY DISCLAIMERS. BITLY SERVICES ARE PROVIDED “AS IS” AND “AS AVAILABLE” WITHOUT WARRANTY OF ANY KIND, EXPRESS OR IMPLIED, INCLUDING, BUT NOT LIMITED TO, THE IMPLIED WARRANTIES OF TITLE, NON-INFRINGEMENT, MERCHANTABILITY AND FITNESS FOR A PARTICULAR PURPOSE, AND ANY WARRANTIES IMPLIED BY ANY COURSE OF PERFORMANCE OR USAGE OF TRADE, ALL OF WHICH ARE EXPRESSLY DISCLAIMED. BITLY DOES NOT WARRANT THAT: (I) THE BITLY SERVICES WILL BE SECURE OR AVAILABLE AT ANY PARTICULAR TIME OR LOCATION; (II) SHORTENED URLS, THE BITLY SERVICES AND BITLY LINK METRICS WILL BE ACCURATE, ERROR-FREE OR THAT ANY DEFECTS OR ERRORS WILL BE CORRECTED; (III) THE BITLY SERVICES ARE SECURE, FREE OF VIRUSES OR OTHER HARMFUL COMPONENTS; (IV) THE RESULTS OF USING THE BITLY SERVICES OR BITLY LINK METRICS WILL MEET CUSTOMER’S REQUIREMENTS OR ANY OF ITS OR ITS USERS’, PERSONNEL’S OR CUSTOMERS’ BUSINESS NEEDS; OR (V) THE BITLY SERVICES WILL BE UNINTERRUPTED OR THAT ANY INTERRUPTION WILL BE CORRECTED IN A TIMELY MANNER. CUSTOMERS USE OF THE BITLY SERVICES AND BITLY LINK METRICS IS SOLELY AT ITS OWN RISK. FURTHER, BITLY MAKES NO REPRESENTATIONS OR WARRANTIES AND SHALL ASSUME NO LIABILITY AMOUNTS OR INDEMNITY OBLIGATIONS WITH RESPECT TO ENSURING THAT CUSTOMER’S USE OF THE BITLY SERVICES AND BITLY LINK METRICS COMPLY WITH ANY LAWS OR REGULATIONS OUTSIDE THE UNITED STATES AND CUSTOMER SHALL BE SOLELY LIABLE FOR SUCH COMPLIANCE. BITLY SHALL BEAR NO RESPONSIBILITY FOR THIRD PARTY PRODUCTS OR SERVICES (E.G., OPEN SOURCE SOFTWARE, SOCIAL MEDIA PLATFORMS, THIRD PARTY MATERIALS OR FOR HOST OR APP STORE PROVIDERS). CUSTOMER RECOGNIZES THAT THE FIGURES CONTAINED IN THE BITLY LINK METRICS PRODUCED HEREUNDER ARE ESTIMATES AND MAY BE SUBJECT TO STATISTICAL ERROR. BITLY DOES NOT WARRANT THAT THE BITLY LINK METRICS WILL BE COMPLETELY CORRECT, ACCURATE, TIMELY OR OTHERWISE RELIABLE. BITLY HEREBY DISCLAIMS ANY LIABILITY FOR ANY USE OR RELIANCE ON THE BITLY LINK METRICS BY CUSTOMER AND THIRD PARTIES. Customer Indemnification. Customer will defend, indemnify and hold harmless Bitly, its parents, subsidiaries, affiliates and their employees, officers, directors, representatives, contractors, customers, business partners, successors and assigns (“Bitly Indemnitees”) from and against any third party claims and actions, and resulting damages, liabilities and costs (including reasonable attorneys’ fees and expenses) incurred by Bitly Indemnitees arising out of or directly or indirectly related to (a) the Customer Content, Customer Services or any other Customer products and services; (b) Customer’s acts and omissions hereunder, breach of this Agreement, or violation of Laws; and/or (c) any allegation of intellectual property, privacy or publicity infringement concerning Customer Content or Customer Services. Bitly shall promptly notify Customer of any claim for which it seeks indemnification; provided, however, that any delay in providing notification shall not vitiate Customer’s indemnification obligations unless Customer is materially prejudiced thereby. Customer shall have sole control over the defense of any claim under this Section, except that Bitly may approve any counsel used by Customer and that Bitly may participate in the defense, at Customer’s cost. All settlements of indemnification claims require the consent of Bitly. LIABILITY LIMITATION. IN NO EVENT SHALL BITLY BE LIABLE UNDER CONTRACT, TORT, STRICT LIABILITY, NEGLIGENCE OR ANY OTHER LEGAL OR EQUITABLE THEORY WITH RESPECT TO THE BITLY SERVICES, BITLY LINK METRICS OR OTHERWISE HEREUNDER FOR ANY CLAIM RELATED TO (I) ANY LOST PROFITS, DATA LOSS, COST OF PROCUREMENT OF SUBSTITUTE GOODS OR SERVICES, OR SPECIAL, INDIRECT, INCIDENTAL, PUNITIVE, COMPENSATORY, OR CONSEQUENTIAL DAMAGES OF ANY KIND WHATSOEVER (HOWEVER ARISING); (II) ANY BUGS, VIRUSES, TROJAN HORSES, OR THE LIKE (REGARDLESS OF THE SOURCE OF ORIGINATION); (III) ANY PERMANENT OR TEMPORARY CESSATION IN THE PROVISION OF THE BITLY SERVICES; (IV) THE DELETION OF, CORRUPTION OF, OR FAILURE TO STORE, ANY CUSTOMER CONTENT AND OTHER DATA MAINTAINED OR TRANSMITTED BY OR THROUGH CUSTOMER’S USE OF THE BITLY SERVICES; (V) CUSTOMER’S FAILURE TO PROVIDE BITLY WITH ACCURATE ACCOUNT OR OTHER INFORMATION; (VI) ANY LIABILITY RESULTING FROM CUSTOMER’S FAILURE TO KEEP ITS PASSWORD OR ACCOUNT DETAILS SECURE AND CONFIDENTIAL; (VII) CUSTOMER’S FAILURE TO ACCESS THE BITLY SERVICES DUE TO MALFUNCTION(S) IN EQUIPMENT, INFRASTRUCTURE, SYSTEM, OR THE NETWORK USED BY CUSTOMER; OR (VIII) AMOUNTS FOR ALL CLAIMS HEREUNDER IN THE AGGREGATE IN EXCESS OF $100.00. Agreement Term. This Agreement shall commence on the date the Customer accepts this Agreement by creating an account or purchasing a paid service tier (“Effective Date”) and remain in effect for the duration of the term selected by Customer, unless otherwise terminated as permitted herein (“Initial Term”). If your paid account is set to automatically renew, please see section 2(B) above for the auto-renewal terms. Right to Terminate. Bitly may terminate this Agreement immediately in its discretion. Upon expiration or termination of this Agreement, all applicable rights and access granted to Customer shall automatically terminate and Customer and its Personnel shall cease any further use of the Bitly Services and return, or, if directed by Bitly, destroy, all Confidential Information of Bitly. Any Section of this Agreement which by its nature would survive such expiration or termination shall so survive. Governing Law. This Agreement and the transactions contemplated hereby shall be governed by and construed under the Federal Arbitration Act and the laws of the State of New York without regard to the conflicts of law provisions thereof and without regard to the United Nations Convention on Contracts for the International Sale of Goods. Limitation for Bringing Claims. To the fullest extent permitted by law, Customer agrees any Customer claim or cause of action arising out of, related to or connected with the use of the Bitly Services, Bitly Link Metrics or this Agreement must be filed within one (1) year after such claim of action arose or be forever banned. Mandatory Arbitration of Disputes. We each agree that any dispute, claim or controversy arising out of or relating to these Terms of Service or the breach, termination, enforcement, interpretation or validity thereof or the use of the Services or Content (collectively, “Disputes”) will be resolved solely by binding, individual arbitration and not in a class, representative or consolidated action or proceeding. You and Bitly agree that the U.S. Federal Arbitration Act governs the interpretation and enforcement of these Terms of Service, and that you and Bitly are each waiving the right to a trial by jury or to participate in a class action. This arbitration provision shall survive termination of these Terms of Service. Exceptions and Opt-out. As limited exceptions to this Dispute Resolution section (i) you may seek to resolve a Dispute in small claims court if it qualifies; and (ii) we each retain the right to seek injunctive or other equitable relief from a court to prevent (or enjoin) the infringement or misappropriation of our intellectual property rights. This Arbitration Agreement does not apply to individuals located in the European Economic Area. Conducting Arbitration and Arbitration Rules. The arbitration will be conducted by the American Arbitration Association (“AAA”). If you are an individual, the arbitration will be conducted under the AAA’s Consumer Arbitration Rules (the “AAA Rules”) then in effect, except as modified by these Terms of Service. If you enter these Terms of Service on behalf of an organization, the arbitration will be conducted under the AAA’s Commercial Arbitration Rules. The AAA Rules are available at www.adr.org or by calling 1-800-778-7879. A party who wishes to start arbitration must submit a written Demand for Arbitration to AAA and give notice to the other party as specified in the AAA Rules. The AAA provides a form Demand for Arbitration at www.adr.org. Arbitration Costs. Payment of all filing, administration and arbitrator fees will be governed by the applicable AAA Rules. If you are an individual, we’ll pay for all filing, administration and arbitrator fees and expenses if your Dispute is for less than $10,000, unless the arbitrator finds your Dispute frivolous. If we prevail in arbitration we’ll pay all of our attorneys’ fees and costs and won’t seek to recover them from you. If you prevail in arbitration you will be entitled to an award of attorneys’ fees and expenses to the extent provided under applicable law. Class Action Waiver. YOU AND BITLY AGREE THAT EACH MAY BRING CLAIMS AGAINST THE OTHER ONLY IN YOUR OR ITS INDIVIDUAL CAPACITY, AND NOT AS A PLAINTIFF OR CLASS MEMBER IN ANY PURPORTED CLASS OR REPRESENTATIVE PROCEEDING. Further, if the parties’ dispute is resolved through arbitration, the arbitrator may not consolidate another person’s claims with your claims, and may not otherwise preside over any form of a representative or class proceeding. If this specific provision is found to be unenforceable, then the entirety of this Dispute Resolution section shall be null and void. If Bitly changes any of the terms of this “Dispute Resolution” Section after the date you first accepted these Terms of Service (or accepted any subsequent changes to these Terms of Service), you may reject any such change by sending us written notice (including by email to support@bitly.com) within 30 days of the date such change became effective, as indicated in the “Last Updated” date above or in the date of Bitly’s email to you notifying you of such change. By rejecting any change, you are agreeing that you will arbitrate any Dispute between you and Bitly in accordance with the terms of this “Dispute Resolution” section as of the date you first accepted these Terms of Service (or accepted any subsequent changes to these Terms of Service). Severability. With the exception of any of the provisions in Section 20(e) of these Terms (“Class Action Waiver”), if an arbitrator or court of competent jurisdiction decides that any part of these Terms of Service is invalid or unenforceable, the other parts of these Terms of Service will still apply. Entire Agreement and Severability. This Agreement is the entire agreement between the parties with respect to the subject matter hereof and supersedes all prior or contemporaneous communications and proposals (whether oral, written or electronic) between the parties with respect thereto, including any non-disclosure agreements signed by the parties. Except as may be modified in writing by the parties, including by a Bitly Enterprise Supplemental Agreement, no additional or conflicting terms set out on Customer order, invoice, statement or other document, or contained in any “shrinkwrap” or “clickwrap” agreements, are binding. If any provision of this Agreement is found to be unenforceable or invalid, that provision will be limited or eliminated to the minimum extent necessary so that this Agreement will otherwise remain in full force and effect and enforceable. Force Majeure. Except for any Fees due hereunder, neither party shall not be liable for any delay in performing or failure to perform its obligations hereunder where such delay or failure results from any cause beyond its reasonable control, including, without limitation, cyber-attacks, mechanical, electronic or communications failures, acts of God, terrorism, war, natural disasters, failure of any telecommunications or transportation or of any third party provider or supplier (e.g., host or app store providers) or labor disputes. Assignment. Except to an affiliate or in the event of a merger, acquisition or other change of control, neither party may assign this Agreement without the prior written permission of the other party, and any attempt to do so is void. This Agreement shall be binding on any permitted successors and assigns. Notices. Unless otherwise specified in this Agreement, all notices under this Agreement will be in writing to the addresses listed above and will be deemed to have been duly given when received, if personally delivered; when sent, if transmitted by facsimile or e-mail; or the day after it is sent, if sent for next day delivery by recognized overnight delivery service. Export. The parties shall comply with all applicable export and import control laws and regulations, and, in particular, shall not export or re-export the Bitly Services without all required United States and foreign government licenses. Government Use. The Bitly Services are “commercial items” as that term is defined at 48 C.F.R. 2.101, consisting of “commercial computer software” and “commercial computer software documentation” as such terms are used in 48 C.F.R. 12.212. Any access to or use of the Bitly Services by any government entity is prohibited, except as expressly permitted by the terms of this Agreement. Additionally, any use by U.S. government entities must be in accordance with 48 C.F.R. 12.212 and 48 C.F.R. 227.7202-1 through 227.7202-4. If Customer uses the Bitly Services in its official capacity as an employee or representative of a U.S., state or local government entity and is legally unable to accept the indemnity, jurisdiction, venue or other clauses herein, then those clauses do not apply to such entity, but only to the extent as required by applicable law. General. The failure of Bitly to enforce any right or provision of these Terms will not constitute a waiver of future enforcement of that right or provision. The waiver of any such right or provision will be effective only if in writing and signed by a duly authorized representative of Bitly. Except as expressly set forth in these Terms, the exercise by either party of any of its remedies under these Terms will be without prejudice to its other remedies under these Terms or otherwise. If for any reason a court of competent jurisdiction finds any provision of these Terms invalid or unenforceable, that provision will be enforced to the maximum extent permissible and the other provisions of these Terms will remain in full force and effect. Publicity. Customer grants Bitly the right to use Customer’s logos or trademarks in marketing or publicity materials and on its website to identify Customer as a customer that uses the Bitly Services. Contacting Bitly. If you have any questions about these Terms, please contact us at support@bitly.com.